Satura Iwata, president of Nintendo, tweeted this earlier in regards to the FPS to multiple gamepad controller use for the Wii U. Signal (bandwidth) improvements with cpu and memory upgrades would be very expensive, which would have a knock on effect on the consoles final price tag. Improving the clock speed (by over clocking it) and increasing Ram support (which I hear is already somewhere between 1.5Gb to 3Gb) to play UE4 is more cost effective. If I am correct, the dev kits should already run with 3Gb of ram whilst the 360 runs on 512mb (unified) and ps3 is 256mb ram- 256 GPU ram. The WiiU GPU is already rumoured to be running on an ATI R7 series Radeon chip which in tests conducted by IGN could run Crysis 2 at 1080p 60fps on an un-optimized PC. Last but not least, i am fed up with Third party bull crap about their engine needs this (a random figure thrown in) cpu to run it as to why they won’t support the wiiu as I heard that crap that same crap for mac users when it comes to PC games. Yet somehow they can get there engine up and running on a tablet (iPad type devices) because its the gadget to have. They can optimise the engine to run on any system (within reason) but they choose not to because its a perception thing. 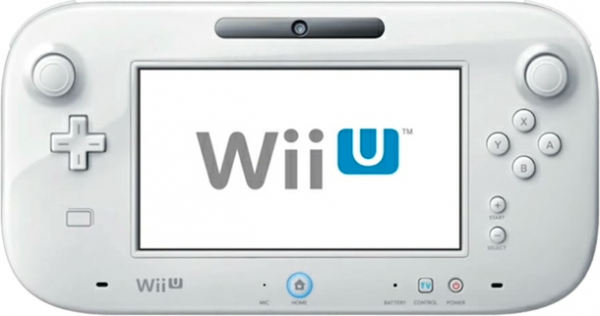 If people see UE4 running on the Gen 1 wii then the engine would be perceived as weak and not next gen.
if UE4 can’t come to wiiU, then I’m sure Nintendo would be praying it can’t go to PS4Xbox720. Yikes. As for Ram – Super Rock – It would be strange, and very amazing if we got 3gb RAM, or as you say in between 1.5 and 3gb. You seem technically clued up, so surely you understand realistically at the moment we are looking at 1gb that Games can use. 1.5 total – this is discussed everywhere. 1 gb isn’t enough. This is just terrible, terrible news..once again. Do you guys realise that a lot of current gen consoles games run at 30 FPS normally, and having GAMEPAD controller with the screen is what is dropping the FPS, therefore meaning that it takes processing things on 3 different screens (1080p on tv and 2 480p controller screens) to finally drop the FPS to the 30 that is normal on current gen, this also means a lot of new possibilities, why is this so bad news? ?